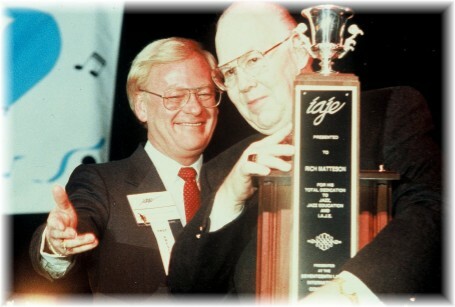 The International Tuba Euphonium Association (ITEA) honored Rich for his reputation as a world-renowned educator and musician and for his outstanding contributions and dedication to the music world; along with the recognition and promotion of the tuba and the euphonium brought to the jazz idiom. To honor Rich, a small selection of tunes and clinic excerpts were compiled for a CD. Selections were put in a chronological and musical sequence of Rich Matteson’s musical career. Starting with Dixieland style with a selection from his recording with Louis Armstrong and The Dukes of Dixieland, recordings also include a live radio show from Sweden, club sessions, Matteson-Phillips Tubajazz Consort, United States Army Jazz Ambassadors, to name a few. The clinic excerpts portray Rich’s profound ability to communicate with students and the audience. This historical and educational CD was presented to all ITEA members throughout the world with the spring issue of the ITEA Journal honoring Rich. Ambassador of Jazz to the World - The "Mousecar" presented by Walt Disney World Co. The purpose of the Hall of Fame is to honor those individuals whose musical contributions and dedication to jazz education over the past 25 years have created new directions and curricular innovations for jazz education worldwide. 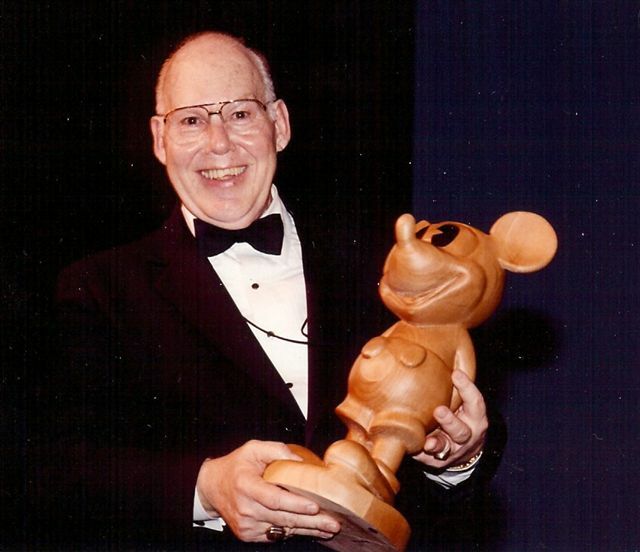 The Spirit of Disney – Walt Disney World Award for outstanding contributions to music and music education.